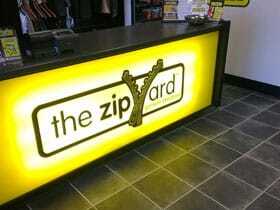 The Zip Yard offers the best clothes/garment alterations service in the North East. 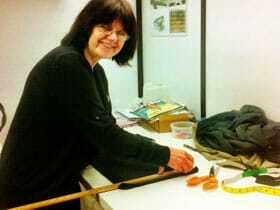 The business is quickly becoming a major hit with the people of Meath, male, female, young and old. 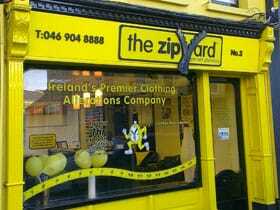 In a time when people are spending less money, The Zip Yard offers a perfect solution – Mend, remodel or adjust your existing wardrobe!Whilst offering a fresh, modern approach to a very traditional trade, The Zip Yard guarantees the highest quality and standards of workmanship by employing highly experienced and talented seamstresses and tailors.We offer a host of specialised services such as; curtain and blind making, suit tailoring, leather and fur repairs and manufacturing from design patterns. The Zip Yard also offers a specialist wedding service where, by appointment, the shop can be closed to cater for the wedding party. The shop is fresh and welcoming, with a modern seating area where customers can watch television and relax while we cater for their needs during our very convenient ‘One Hour Service’. 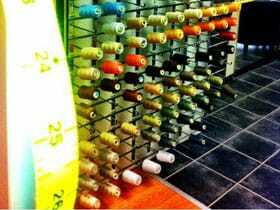 There are also private fitting rooms which are wheelchair accessible, extensive in size, and are fitted with full‐length mirrors where the seamstresses can fit you in complete privacy. The proprietor, Adrian Flanagan, originally from Skryne but now living in Navan, has plenty of experience in business, having spent many years with leading companies, O2 and BT. I have been thrilled with the reaction so far. 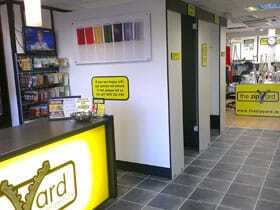 The store is like no other in this part of the country and I felt there was a niche in the market. The reaction from our customers to the way the shop is presented and their overall experience has been extremely positive.